This is the exact same as the SMB Always 40 spool set, except with 23 additional colors. 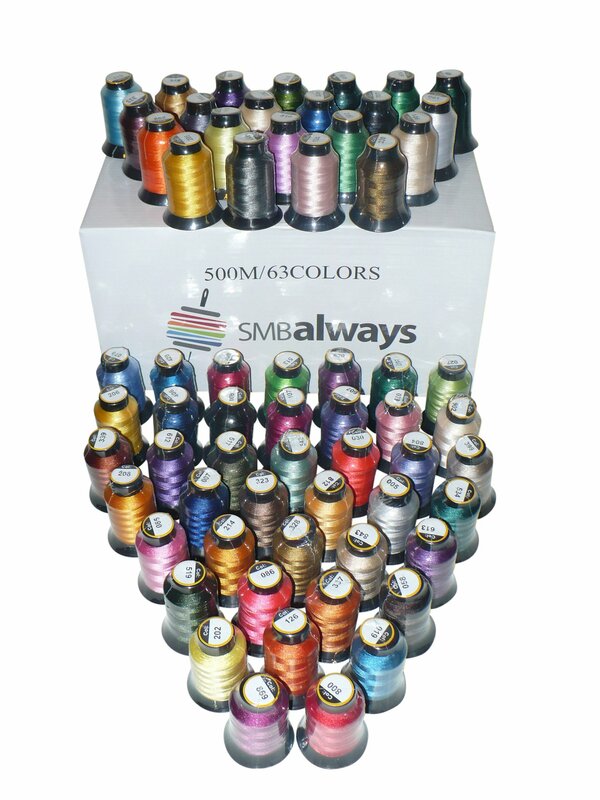 This thread set by SMB Always has 63 spools of 100% polyester embroidery machine thread. This thread set has the same color numbers as Brother thread for easy thread matching.